I am new to the whole car modification scene, so when I say that I got lucky when I stumbled across Rob and the AMR team, I mean just that. The more I researched and started to talk to people the more I learned about the industry and how many scammers are out there trying to take your money. As soon as I pulled in and started talking to Rob, I immediately knew I had come to the right place. Rob takes the time to explain everything, what tuning does and what he is doing to your car at all times. I might not know a lot about this car mod industry, but I am a businessman and Rob and his team, take pride in what they do and it shows. He makes sure you are happy with the end result, and he is looking for return customers and a long time partnership. He understands the people that are going to him are car enthusiasts, and the best part is he is one as well which is why he loves what he does. 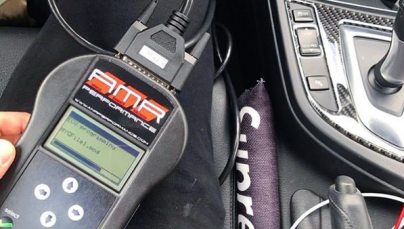 I have an would recommend Rob and AMR for anyone looking to add gains to their car.